Whether you are moving a single item, or relocating your entire household or office you need to make things as swift and manageable as possible. Don’t go through all the stress and hassle of organising and dealing with the relocation on your own, when you can get in touch with Removals Limehouse and kickback while we do the heavy lifting for you. We are a locally based, professional moving company with many years of relevant industry experience. During this time, we learnt the intricate inner workings of professional property removals, and trust us – there is quite a bit to know. In result, we have become the preferred service provider in the E14 area, and our technical expertise and professionalism are unrivalled. Our selection of general and specific moving services is suitable for both residential and commercial property relocations. We are more than capable to deal with all types of domestic removals, business and office removals, single item removals, junk and rubbish removals and a great deal more. A specialised packing service is also available through us, don’t skip on extra safety for your items during handling and transit – the packing service we offer is affordable and really helpful. In case you wish to self-pack, just let us know and we will deliver a full kit of high durability packing materials to you at a very reasonable price. Transportation of your belongings is going to be a swift, safe and no-fuss affair, as our experienced drivers are behind the wheel of specially equipped, well-maintained removal vehicles of variable size, wheelbase and payload capacity. Having a range of vehicles at our disposal means we always have the right van for the job therefore lower service costs for our customers. Using our top quality removals translates to fewer hassles and more time spent in doing what you feel like. In case you wish to spend a couple of hours around Limehouse. The area’s name has an interesting etymology behind it. Many people used to think Limehouse took its name from the many British Navy seamen who frequently disembarked on these shores. These sailors were called lime juicers or limeys in relation to the compulsory dose of lime juice Navy seamen received each day. In fact the area takes its name from the lime kilns, or more precisely oasts which served the maritime industry in the district. 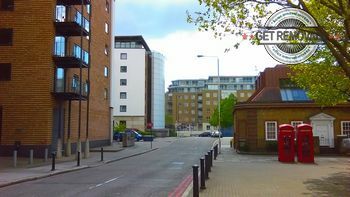 Limehouse’s maritime links are undeniable – the district used to be better connected to the rest of the city by river as the lands behind Limehouse were marshy. The area has been a key port since the medieval period. For a time, Limehouse was a major site for shipbuilding, ship chandlering and rope making.